Childbirth and the natural aging process cause changes which may affect feminine wellness. A particularly strenuous vaginal childbirth, multiple births, and the effects of menopause can cause physical changes which can rob women (and their partners) of their sense of well-being and happiness. ThermiVa ® treatments use radiofrequency energy to gently heat tissue to rejuvenate collagen, without discomfort or downtime. Laser hair reduction is the process of reducing unwanted hair by means of exposure to pulses of laser light that destroy the hair follicle. At BeLiz MedSpa we use the GentleMax Pro which is the gold standard for laser hair reduction of all skin types. It is a dual wavelength laser platform that combines the fastest and most powerful ﻿755 nm Alexandrite laser with an equally powerful 1064 nm Nd:YAG laser for high performance treatment capabilities in terms of speed, efficacy, ease-of-use, performance, safety and patient satisfaction. Hair reduction treatments can be ﻿performed on any part of your body, the most common areas being the legs, bikini area, underarms, chest, back and face. 6 treatments spaced 6-8 weeks apart are typically needed to ensure optimal results. Pigmented skin lesions are dark spots found in the skin because an abundance of melanocytes (which produces the melanin or dark pigment in skin) are present. These dark pigmented areas can be found in the form of freckles, brown age spots, and moles, and dermatosis papulosa nigra- tiny, elevated dark bumps on the face (usually on the cheeks and near the eyes). 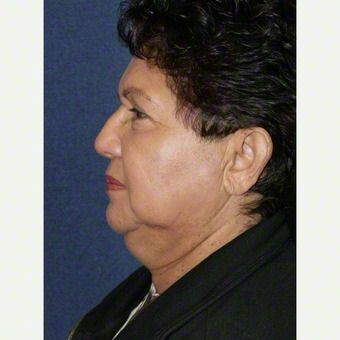 These various pigment lesions can make us look older and in some cases disfigure our appearance. 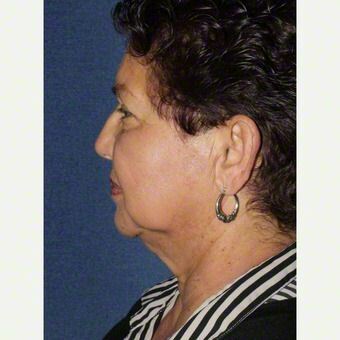 Through the use of the BeLiz MedSpa's GentleMax Pro, pigmented skin lesions can be quickly and easily removed or greatly improved leaving clear, healthy looking skin. BOTOX® Cosmetic is the only approved treatment to temporarily improve the appearance of both moderate to severe frown lines between the brows and crow’s feet lines in adults. BOTOX®is injected into muscles of the face to partially relax specific muscles and temporarily lessen the appearance of certain wrinkles that are caused by these muscles. BOTOX® has been used for this purpose for the past 15 years all over the world. The wrinkles that are due to muscle contraction such as frowning, or raising the eyebrows in surprise are called dynamic or expressive wrinkles. These are the wrinkles that soften with BOTOX® treatment. BOTOX injection is a medical procedure that requires the injector to have aesthetic training, skill and experience. It should be performed by a professional under conditions of cleanliness by an experienced doctor or nurse injector. You will usually start to feel the relaxation of the muscles injected with BOTOX® within 4-5 days of treatment. BOTOX® takes about a week to be maximally effective in most people. The effects last about 3 months. Some people who get regular BOTOX® injections notice that they need smaller doses of BOTOX® and that their BOTOX® can last up to last up to 6 months. ﻿Dermal fillers help to diminish facial lines and restore volume and fullness in the face. Soft Tissue Fillers, also known as injectable implants, dermal fillers, or wrinkle fillers are medical device implants approved by the Food and Drug Administration (FDA) for use in helping to create a smoother and/or fuller appearance in the face, including nasolabial folds, cheeks and lips and for increasing the volume of the back of the hand. Help diminish early signs of aging. Sclerotherapy is a medical treatment used to eliminate telangiesctasias and venulectasias, otherwise known as spider veins in the lower extremities. Sclerotherapy involves injecting a salt solution directly into the vein. The salt solution causes the vein to scar and collapse, forcing blood to reroute through healthier veins. Over the next several weeks the collapsed veins are reabsorbed into local tissue and fade from view. The procedure itself takes 15-30 minutes depending on the amount of spider veins present. You will be required to wear support stockings to compress the treated vessels after the procedure to achieve maximum results. ​Candidacy for Sclerotherapy depends on the size and location of veins, current medications being taken and past medical and health history. Your clinician will be discussing treatment options during your free consultation. 'The Eclipse Micropen® Elite is a dermal microneedling device used to create micro-injuries to the skin in order to naturally produce collagen and elastin to reduce the appearance of fine lines, acne scars and improvement of the skin's overall appearance. The microneedling procedure creates superficial micro-channels which can be used with topical gels, creams and serums to help improve the appearance of the epidermal layer of the skin. The result is the appearance of smoother, firmer, younger looking skin. A more advanced procedure utilizes the client's own Platelet-Rich Plasma (PRP) at the point of care to boost collagen and elastin production. During this procedure your blood is drawn and spun down using a centrifuge to separate the plasma from the blood resulting in PRP. The PRP is then used with the Micropen on the treatment area to re-energize your cells into rejuvenating themselves. BeLiz MedSpa has partnered with Rhonda Allison Clinical Enterprises (RA) to offer you a professional line of cosmeceutical products designed specifically for aesthetic use. All RA products are United States Pharmacopeia (USP) certified, meaning that only the highest, most pure form of product is used. RA uses only pure, fresh, natural, quality-driven ingredients that deliver results! There are no dyes, artificial coloring, or artificial fragrances – essential oils and the scent of the plant extracts are the aroma of the product. All preservatives are essential oils, plant derived, or safe FDA approved ingredients. Facials and Chemical Peels are client driven, meaning we will tailor the service to meet your goals. 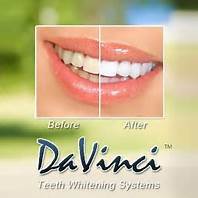 DaVinci only uses the highest quality USA organic, plant and mineral based ingredients in their Laser Teeth Whitening Gel. Their gels are strong enough to deliver the results you want, yet gentle enough to provide a non-invasive pleasurable teeth whitening experience. The active ingredient in Davinci's gel is a food grade Hydrogen Peroxide and contains three key minerals to stabilize and strengthen the enamel. Their product has been proven to whiten as well or better than other dental whiteners, but without the level of sensitivity and side effects that other whiteners can deliver. 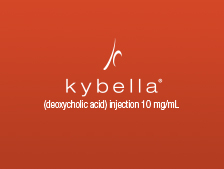 BeLiz MedSpa is excited to announce the offering of Kybella™, the first and only FDA approved Fat-Dissolving injectable for permanent reduction of chin fat in adults. 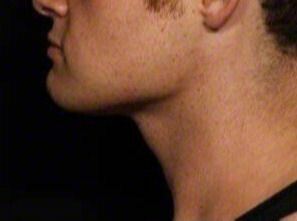 In as little as 3 to 5 sessions you can have permanent reduction of chin fat. 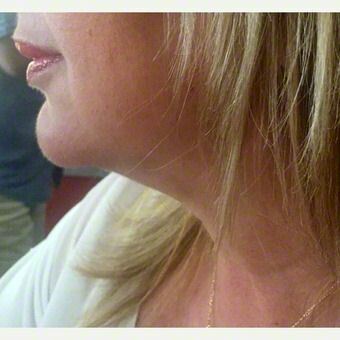 Kybella™ destroys fat cells and once destroyed those cells cannot store or collect fat again. 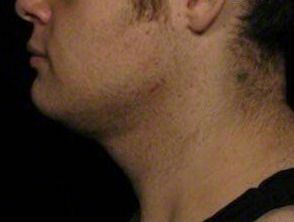 Kybella™ may be administered with local anesthetic and can be performed in as little as 20 minutes. Some bruising and swelling may occur with the treatment. No need for tight compression or limiting your daily activity with this treatment.